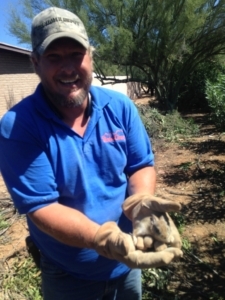 While cleaning up some yard debris we found this little guy. We had to stop him from getting to the street and relocated him to a safer area. We never know what we will find on our junk removal jobs. Their is no shortage of wildlife we run into in Tucson.